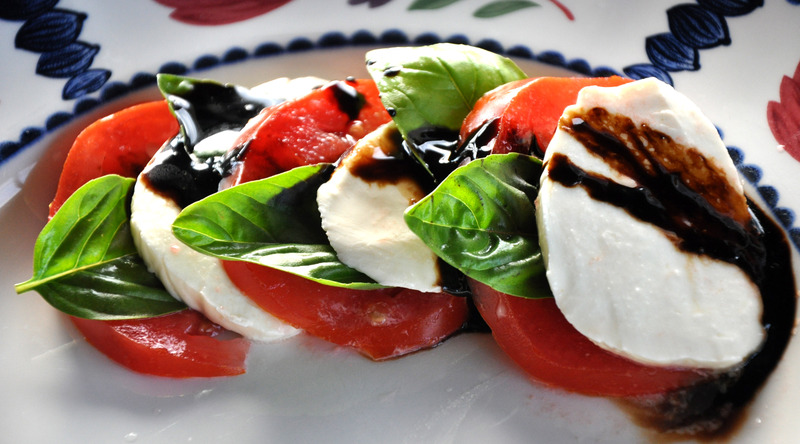 Creamy mozzarella, savory fresh basil combined with the acidic tomatoes and tangy balsamic make this Caprese Salad with Balsamic the perfect summer salad. The only thing missing is a good crusty bread. 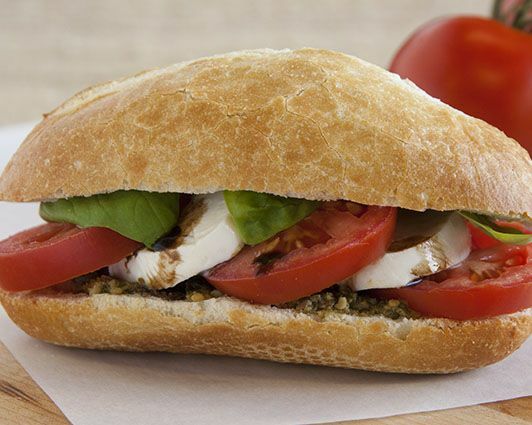 In fact, a good Portuguese roll makes the perfect bread for creating a Caprese sandwich. 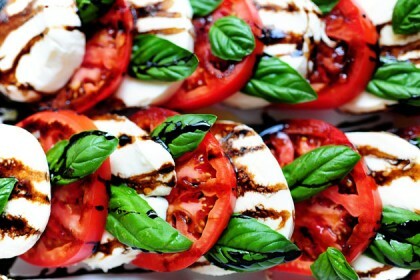 In a medium bowl mix together the tomatoes, mozzarella and basil leaves. Drizzle the olive oil and balsamic vinegar over the top. Best if chilled before serving.